Dr. Clifton Taylor (b. 1968) has served as Associate Director of Bands at Mississippi State University since 2005. At MSU, he co-directs the Famous Maroon Band and basketball pep bands, conducts the MSU Symphonic Band and the Jazz Ensembles, and teaches courses in the Department of Music. A native of Mississippi, he holds two music education degrees from the University of Southern Mississippi, and a DMA in wind conducting from the University of South Carolina. A veteran teacher, Dr. Taylor has taught instrumental music at every level, from the elementary school to the community college, and currently directs the band program for the Starkville Homeschool Music Cooperative. Dr. Taylor is regularly engaged in composing and arranging for concert band, marching band, and other media. He is also the composer and publisher of Honor Band Sight Reading Etudes. Now two volumes, the collection contains 130 etudes written for all-district and all-state auditions in Mississippi, Louisiana, and Florida. 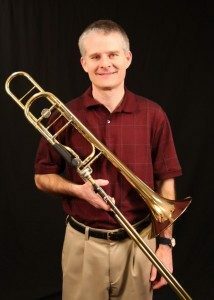 Dr. Taylor also maintains a steady schedule as a performing trombonist, playing in symphonic, chamber, and jazz settings. He has served as the principal trombonist of the Meridian Symphony since 2002. Dr. Taylor is affiliated with the College Band Directors National Association, the National Band Association, the Mississippi Bandmasters Association, Phi Beta Mu, Phi Mu Alpha Sinfonia, and Kappa Kappa Psi.